SimWave products and services are now provided by TelGaAs Inc.
BBUQ crystal tunable active bandpass filter with adjustable frequency to cover UHF/VHF bands. Solve interference issues in Narrow Banding Applications where close in interference affects receptions, such as P25, DMR, NXDN, and TETRA standards. The SimWave canceler/Filter allows co-site antennas to operate in close proximity by canceling the cross interference. The SW-0400 utilizes complementary canceler and filter technology to solve the problem of wideband co-site interferer variability providing much broader rejection than otherwise capable in other approaches in a cost effective solution. SimWave’s smart canceler technology recognizes the presence of an interferer and reacts to mitigate the interferer while maintaining the best possible receiver dynamic range. 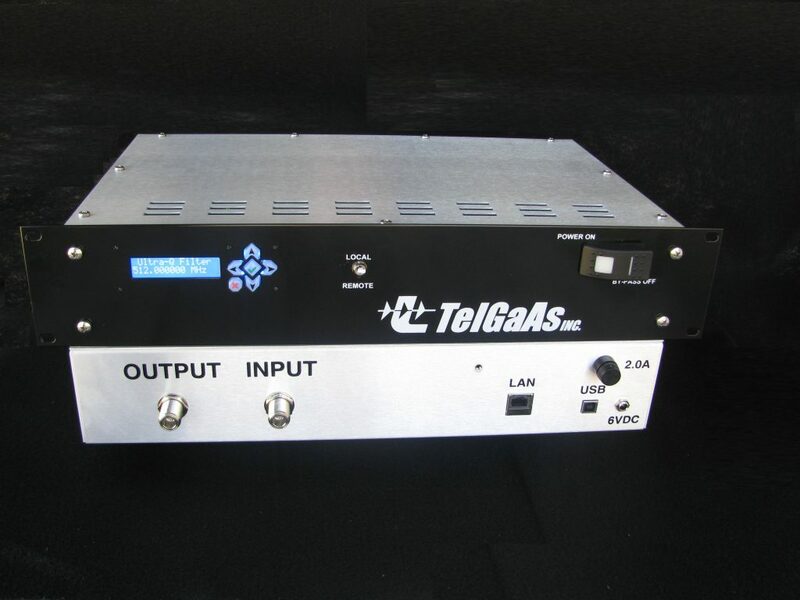 TelGaAs designs and manufactures custom state-of-the-art millimeter wave and microwave components, for radar, satellite communication, electronic intelligence, and aerospace components.